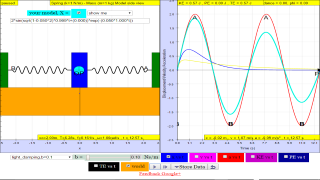 If no frictional forces act on an oscillator (e.g. mass-spring system, simple pendulum system, etc. ), then it will oscillate indefinitely. 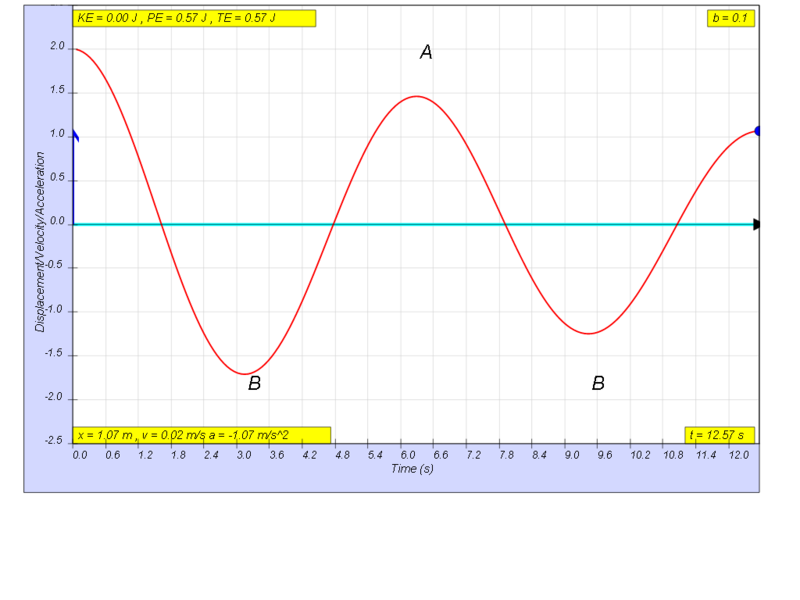 In practice, the amplitude of the oscillations decreases to zero as a result of friction. 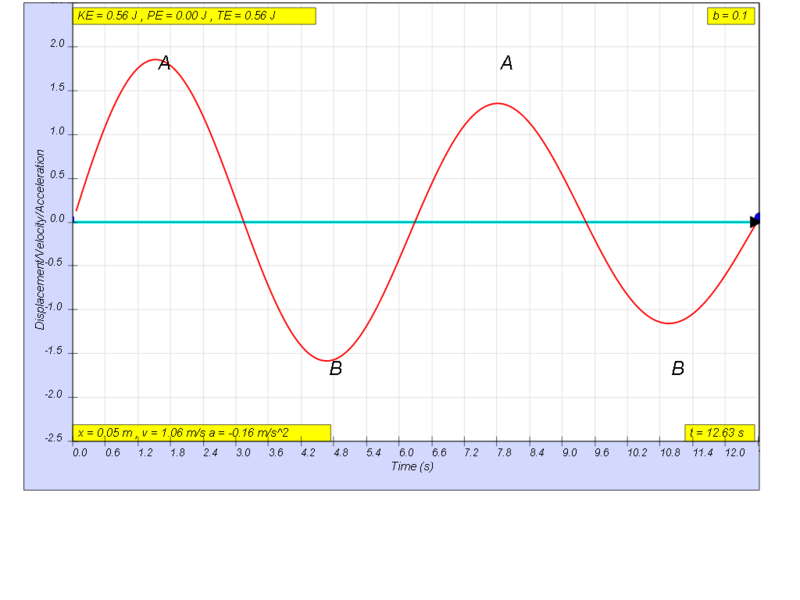 This type of motion is called damped harmonic motion. Often the friction arises from air resistance (external damping) or internal forces (internal damping). 1.6.1 if the motion is x= x0 sin(ωt), the following are the x vs t graphs for 2 periods, as an illustration of the damping. when b=0.1 very lightly damp, system undergoes several oscillations of decreasing amplitude before coming to rest. Amplitude of oscillation decays exponentially with time. 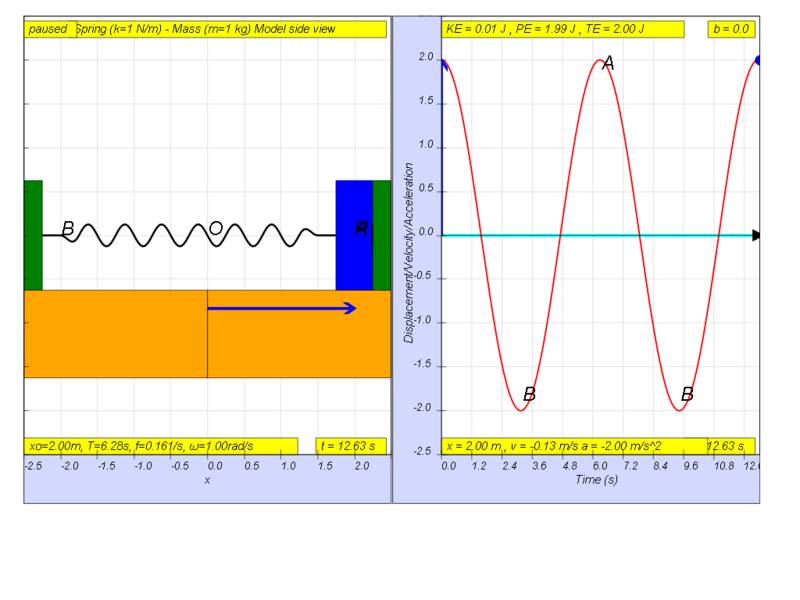 when b=2.0, critically damp system returns to equilibrium in the minimum time, without overshooting or oscillating about the equilibrium position amplitude. 1.6.2 a more typical starting position, is x= x0 cos(ωt), the following are the x vs t graphs for 2 periods, as an illustration of the damping. when b=0.1 very light damping, system undergoes several oscillations of decreasing amplitude before coming to rest. 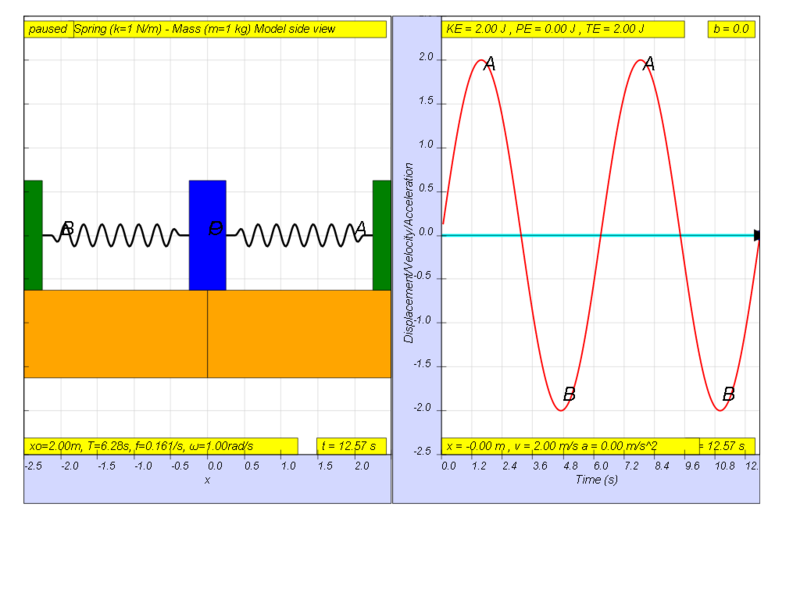 Amplitude of oscillation decays exponentially with time. 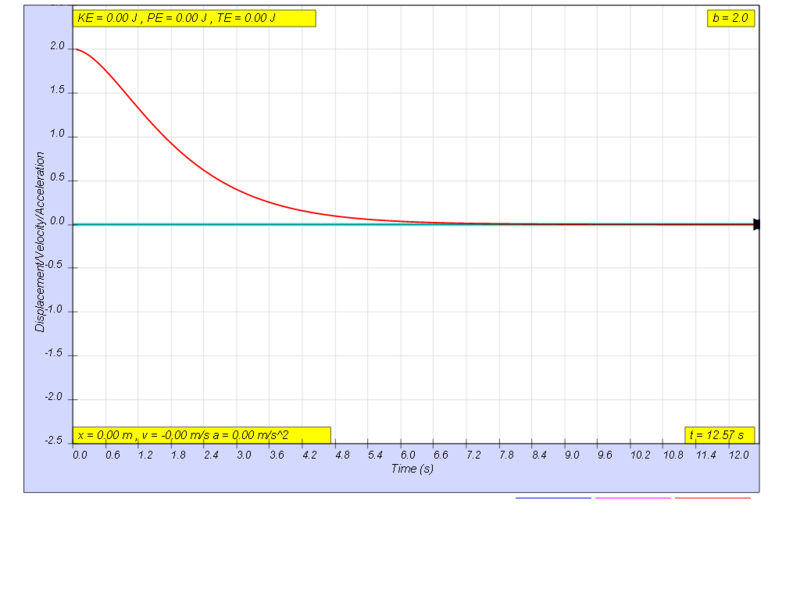 when b=2.0 critically damp, system returns to equilibrium in the minimum time, without overshooting or oscillating about the equilibrium position amplitude. when b=5.0 very heavy damp, system returns to equilibrium very slowly without any oscillation.